Daily Adventures of the SAHM: Getting on the Christmas Choo-Choooo! Getting on the Christmas Choo-Choooo! Ready for this? It's time to be ready. 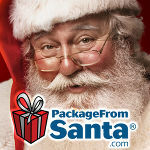 Give the one-of-a-kind memorable EXPERIENCE of receiving a package from the big guy in the red suit... Santa! * and the option to upgrade with even MORE goodies! 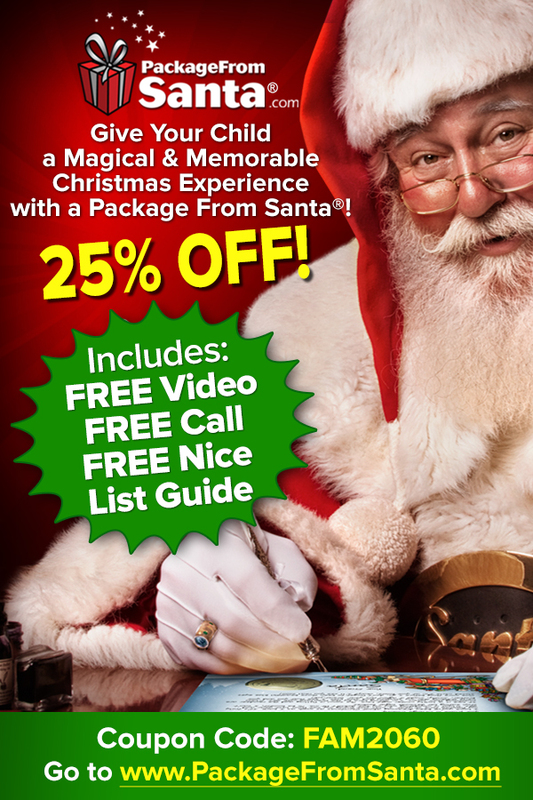 This uniquely personalized gift experience creates Christmas wonder and excitement that your offspring will never forget! Have your camera ready to video every step of this special Santa experience! It all starts at the mail box when the Package from Santa arrives from the North Pole! Delight in the process of making Christmas magic come alive in a very personal way for your child, grandchild, niece, nephew, or any little one you know! This esteem-building personalized gift is an amazing experience of memories, wonder and happiness!